Death in Paradise 2019 viewers witnessed the return of DI Jack Mooney’s (played by Ardal O’Hanlon) daughter in the series finale yesterday (February 28). Siobhan Mooney (Grace Stone) hadn’t appeared on the series since 2018 before speaking with Jack via a video call. However, her return back on-screen has left some Death in Paradise viewers thinking Siobhan could join forces with her father with his investigations in Saint Marie. Here are all the clues to suggest whether Siobhan and Jack will join forces on the BBC series? 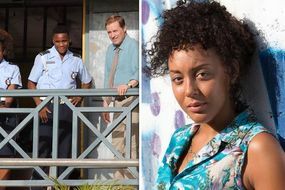 Death in Paradise 2019 recap: How did Death in Paradise series 8 end? Will Siobhan Mooney join the team on Death in Paradise? 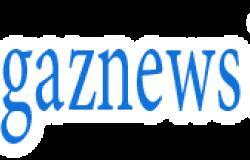 WARNING: This article contains spoilers from Death in Paradise. Siobhan rejoined the Death in Paradise cast in 2019 in the series finale – a year after the character left Saint Marie to study in the UK. BBC viewers witnessed the 20-year-old open up to her father, DI Jack Mooney, as life back home had taken a turn for the worst. O’Hanlon’s character asked his daughter if she was okay, to which she replied: “Things aren’t great if I’m honest. Siobhan was left in tears after the chat with her father. The split from her boyfriend means Siobhan no longer has any ties in the UK, so the possibility of her rejoining her father became more likely.